This year’s REALTOR® Wine & Spirits Auction on April 18 is the one night of the year you can make your investment in RPAC “double dip.” Not only will dollars you bid make you the proud new owner of amazing wine, spirits, gift baskets and more – 100 percent of those dollars will be credited to you as your investment in RPAC. 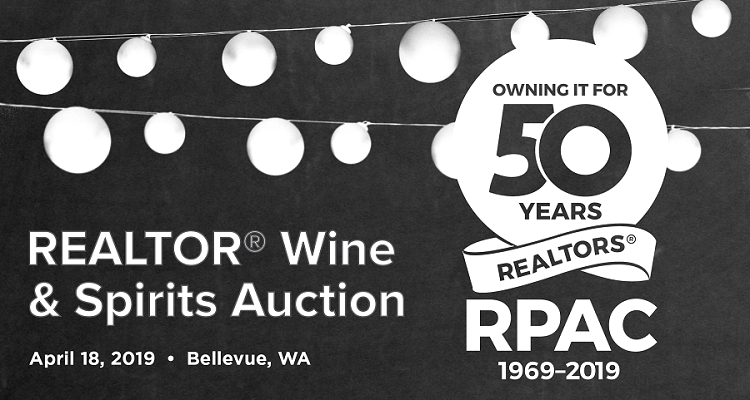 This year, we are celebrating the 50th anniversary of the REALTORS® Political Action Committee (RPAC). For half of a century, RPAC has supported candidates for public office at the local, state and national levels who support property rights and share the goal of homeownership. RPAC is the only advocacy group in America that fights exclusively for your clients and your business. Join your colleagues for sipping, double dipping and networking on Thursday, April 18 at the Bellevue Club. Your ticket includes a delicious buffet dinner and your first drink. Get your ticket before April 12 for early bird pricing!